We did have gained a lot from the Prolight + Sound Expo., A lot of friends and clients come and visit and do business with ITSCtruss and Meisi. 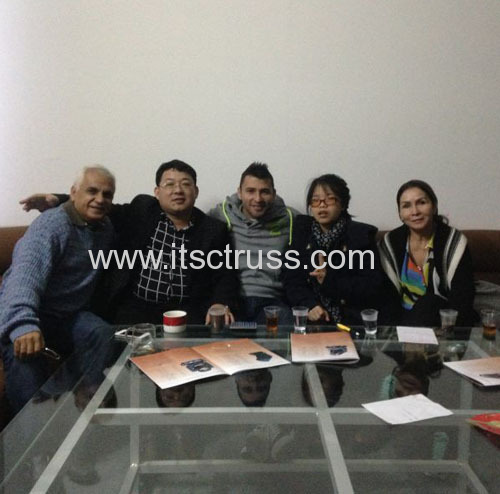 One of most important is that Luis and his parents visited our trusses and lighting departments. 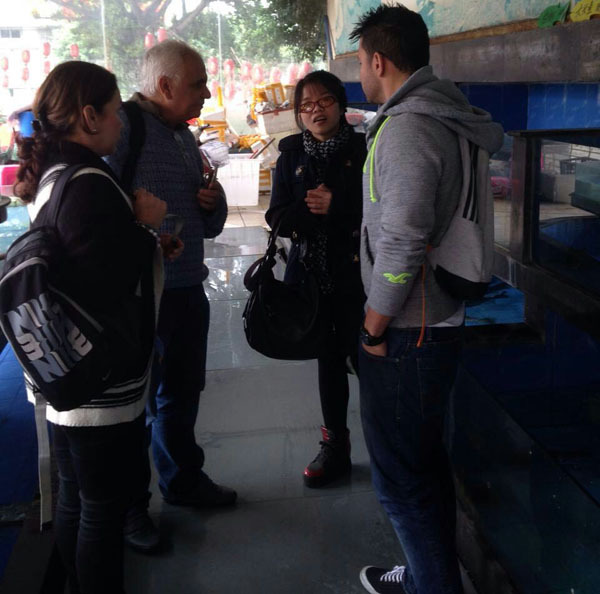 They visited our company on Apr.4, 2015, and we did have great face-to-face talk about the lighting business, and everything goes well. We are mostly start our cooperation from this month. After business negotiation, we were enjoying the Chinese sea-food which is so nice. And Luis's are trying to learn to use the Chopsticks! And we also learned a lot of the Columbian culture during the meal. We should respectthe different culture around the world so that we can make the work colourful! Luis is from Luxury Goods S.A.S, Columbia, and we are looking forward a longterm business cooperation in the bright future! !